Home › Latest News › Cantinas Night of Faith featuring Danny Gokey! 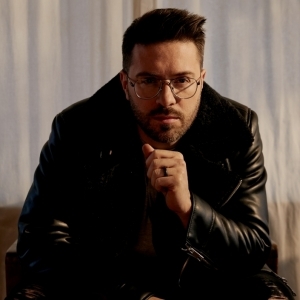 PASO ROBLES, CA) – The California Mid-State Fair is pleased to announce that Cantinas “Night of Faith” featuring DANNY GOKEY is set for Monday, July 22 at 8:00 pm. The Cantinas “Night of Faith” featuring DANNY GOKEY will take place on the Frontier Stage and will be free with paid Fair admission. Grammy® nominee and Dove Award winner Danny Gokey is probably best-known for his run on the 8th season of American Idol. He’s back with his fifth studio album Haven’t Seen It Yet, which will be available on Friday, April 12th, 2019. The third digital single “New Day” has been released as part of the album launch campaign. The album also features the lead single and title track, “Haven’t See It Yet.” The single is currently sitting in the Top 15 on the Christian Airplay Billboard Chart. The song’s accompanying music video has received over 2.5 million+ views on Danny’s official YouTube page, continuing to solidify Gokey as a staple in Christian Contemporary Music. Following American Idol, Gokey released his debut album, My Best Days, which debuted at #4 on the Billboard Top 200 album chart. Since that time, Gokey has celebrated a series of #1s including his follow-up album release Hope In Front of Me, his latest full album release Rise, and his first Award-winning holiday album, Christmas Is Here. Spawning singles like “Hope In Front of Me,” “Rise,” & “Masterpiece”, “The Comeback,” and his RIAA Gold certified single “Tell Your Heart to Beat Again,” Danny has cemented his place on the radio charts with multi-week, multi-chart #1 runs both in the United States and in Canada. Danny is the founder of a newly formed non- profit organization, Better Than I Found It, that has a heart to partner with organizations already making a difference in their communities to help them grow into their next level of service to effect even greater change in their areas. Gokey is a native of Milwaukee and currently lives in Nashville with his wife, Leyicet and their three children. The Cantinas Arts Foundation in a non-profit which was started and exists: to inspire, create, build, and grow a community that is motivated to share their talent and faith through arts and media, providing a foundation for individuals to grow as well as inspire others. The team at CAF believe that artists are historians; sharing their expression through various mediums, to inspire all those surrounding them, to remember or find, God's greater purpose. The CAF's sole purpose is to utilize art in all forms, reminding everyone of their own innate value, while growing their community, creating unity by using their talent and creativity to form inspirational art in all mediums. At the Cantinas Arts Foundation, we offer a wide array of RESOURCES to help artists DEVELOP both PROFESSIONALLY and SPIRITUALLY. Our staff is dedicated to EDUCATING all of our artists - whether in MUSIC, DANCE, SPOKEN WORD, WRITING, SINGING, or FILM - to hone their skills, and continue to ENCOURAGE outreach to their communities through their INDIVIDUAL EXPRESSION, while sharing their individual faith and spirituality through their craft. Cantinas Arts continues to DEVELOP CHRISTIAN LEADERS, who are sharing their own stories, by providing opportunities for participation in DYNAMIC PERFORMANCES, INSPIRATIONAL CONCERTS, EXCITING WORKSHOPS, RETREATS, as well as mentorship and artist development programs - IMPACTING NEXT GENERATIONS. www.cantinas.org. Cantinas On Park, an extension of the Cantinas Arts Foundation was founded to further Cantinas Arts Foundation's mission on the Central Coast. Cantinas On Park is a premier private event venue in downtown Paso Robles, CA. Cantinas On Park is available for intimate private events for as many as 70 guests and works with the finest exclusive vendors. In addition to private event space rentals, Cantinas On Park is also open on select evenings for Christian concerts, workshops and artists’ events for the community. www.cantinasonpark.com.